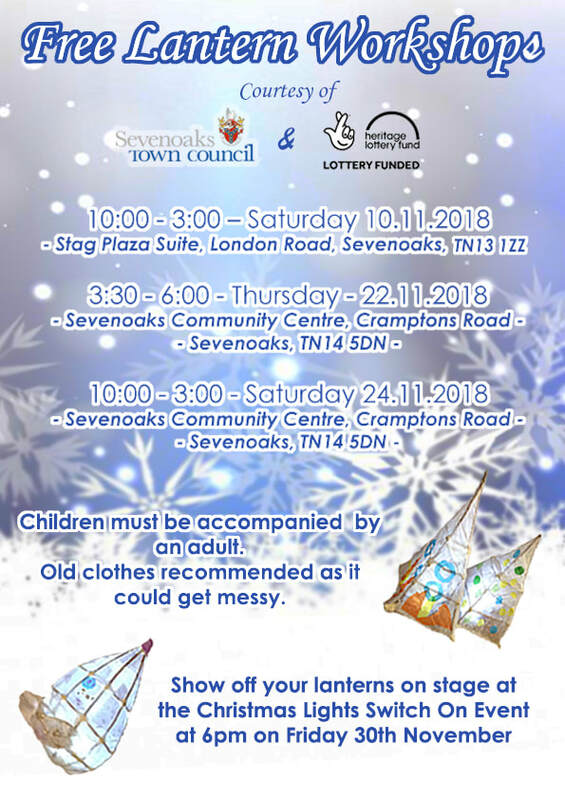 The Town Council has arrange for three Lantern Workshops FREE for families to enjoy on two Saturdays and on one Wednesday evening, for those families who work week-ends. Bring to show to the Mayor of Sevenoaks on the stage at the Christmas Lights Switch On Event on Friday 30th November 2018. Arrive at the side of the stage by the former Tesco Metro at 5:50 pm. Show off your lanterns on stage at 6pm with the Mayor.